Jennifer is a co-worker of mine and a great supporter of the site. 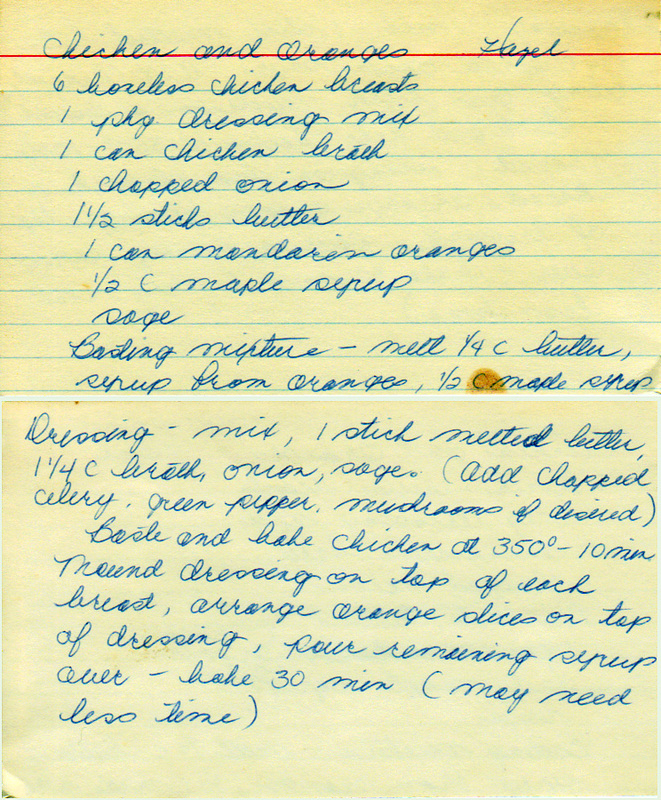 I’ll nudge her to provide any memories she has of this recipe! A family recipe provided by Jennifer Kiel of Washington, DC. Basting mixture: melt 1/4 c. butter, syrup from oranges, 1/2 c. maple syrup. Baste and bake chicken at 350 deg. — 10 minutes. From a box sold in Columbiaville, Michigan. For pears, peaches, or your choice.